If you’re curious about Biofuels and current developments you might want to check out the new Biofuels Blog which was recently launched and is sponsored by one of our clients (Bedford Biofuels). Bedford currently has leases on 160,000 hectares of land in Kenya for growing Jatropha, a nut that produces high quantities of very clean oil which has been approved for use in jet fuels. As well, Bedford Biofuels has a humanitarian component (EMPOWER) which supports the ranchers and families in the Tana Delta. 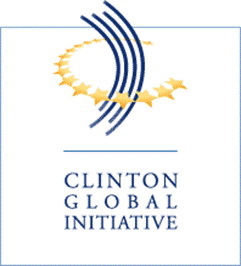 this effort has earned them membership status in the Clinton Global Initiative. Fossil fuels are currently providing 80% of the energy consumed by humans. Conversion of biomass is the most cost effective way of producing renewable fuels and currently accounts for 78% of worldwide renewable energy. Biofuels are expected to rise to meet 30% of US liquid fuel demand (for transportation) within 25 years, up from the current 7 percent. Given all these points, it will be interesting to watch Bedford’s progress as they move from land preparations and their first harvest into full-blown production of Jatropha.